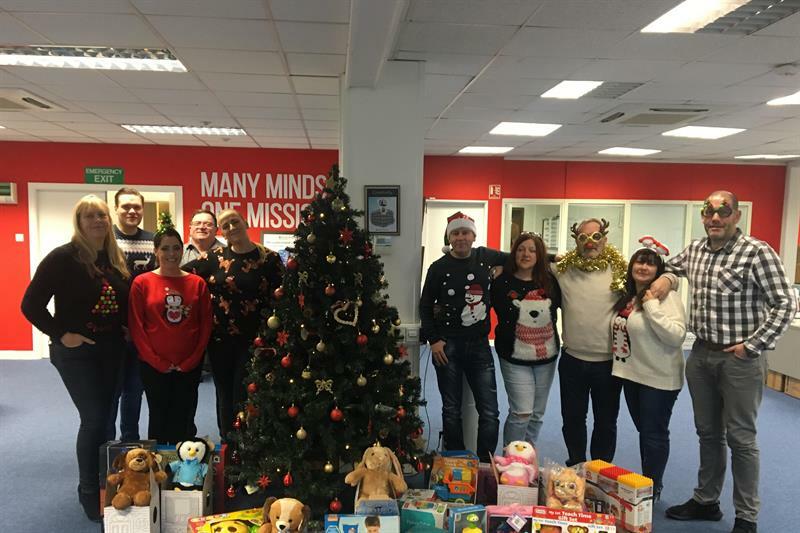 Henry’s Angels, a group of volunteers from Henry Schein UK and Ireland, raised funds during dress down days and team raffles to buy gifts for seriously ill children who spent Christmas in the hospital. Henry Schein’s Cardiff team accompanied Santa Claus during his walk around the ward at the University Hospital of Wales while he was handing out gifts and spending a few minutes with each child. Henry’s Angels from Gillingham visited the Penguin Ward at Medway Maritime Hospital and spent time with infants and teenagers. The Irish team supported the Ronald McDonald House, an initiative that provides accommodation and a caring and supportive environment for families whose children are seriously ill and hospitalised or undergoing medical treatment at the Dublin-based Our Lady’s Children’s Hospital, Crumlin®, Ireland’s largest paediatric hospital. Henry’s Angels was formed in January 2011 by Team Schein Members, who wanted to put together a lasting programme of volunteers wishing to give back to the local community. Henry’s Angels is present in four locations in the UK and one in Ireland, and having organized more than 40 projects that have included in excess of 400 volunteers working more than 4,000 hours. The Angels support at least four projects each year and have already received tremendous support from local companies, hotels, and services. Henry’s Angels believe that time is the most valuable commodity they can give and together they can make a big difference. Henry’s Angels is part of Henry Schein Cares, the global corporate social responsibility programme of Henry Schein, Inc. Henry Schein Cares helps increase access to care for underserved populations through three focus areas: wellness, prevention, treatment, and education; emergency preparedness and relief; and health care capacity building. Henry’s Angels is on Facebook at https://www.facebook.com/hshenrysangels.